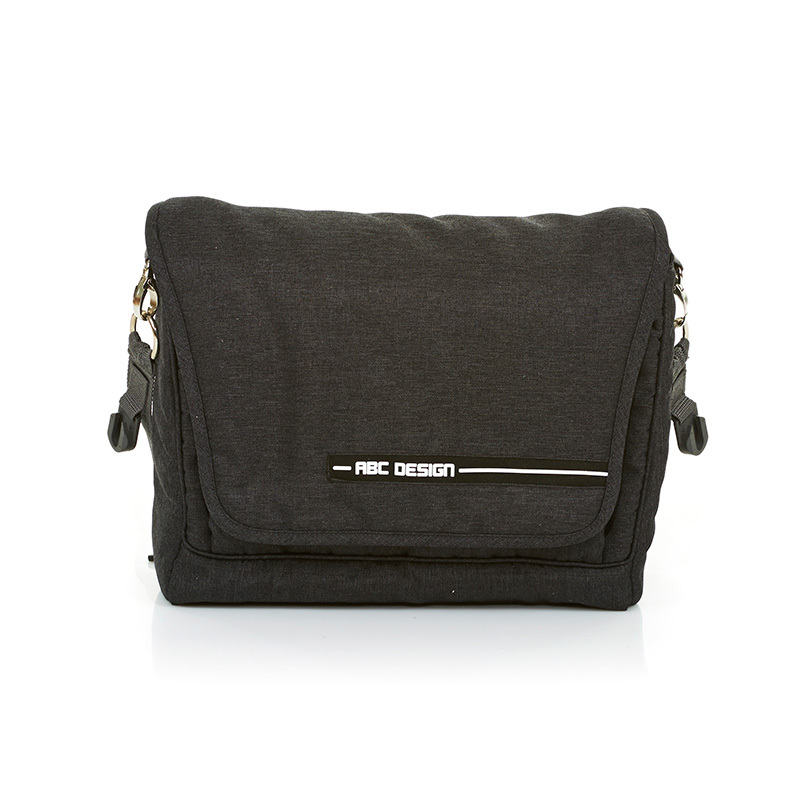 The ABC Design Fashion changing bag is designed and engineered in Germany. This modern design, changing bag is available as a trendy accessory to match our current range of ABC Design range but also looks great used as a standalone bag. The Fashion changing bag offers plenty of storage options to rival any changing bag on the market. Along with a large main compartment, there are many other pockets arranged cleverly to safely store smaller items that need more protection. Also included is a high quality changing mat for your little one which offers you a safe and hygienic underlay wherever you may need to change your baby’s nappy on the go. The fold over closing system ensures that items are kept safe and dry whilst still offering quick access when you need it. The bag sits comfortably on the shoulder with a broad and easily adjustable, padded strap and is available in stylish black to ensure it will match with any ABC Design’s popular range of pushchairs.